Do Not Be Afraid, Joseph! by aviesplace2012 in Uncategorized Tags: Angel of the Lord, Do you believe that Jesus was born of a virgin?, God, HolySpirit, Immanuel, Is there any question that Jesus is the Son of God?, Joseph, Lord Jesus, Mary, Was Jesus really conceived of the Holy Spirit? Matthew 1:18-25 NLT Now this is how Jesus the Messiah was born. His mother, Mary, was engaged to be married to Joseph. But while she was still a virgin, she became pregnant by the Holy Spirit. Joseph, her fiance`, being a just man, decided to break the engagement quietly, so as not to disgrace her publicly. As he considered this, he fell asleep, and an angel of the Lord appeared to him in a dream. “Joseph, son of David,” the angel said, “do not be afraid to go ahead with your marriage to Mary. For the child within her has been conceived by the Holy Spirit. And she will have a son, and you are to name him Jesus, for he will save his people from their sins. All of this happened to fulfill the Lord’s message through his prophet: “Look! The virgin will conceive a child! She will give birth to a son, and he will be called Immanuel (meaning, God is with us).” When Joseph woke up, he did what the angel of the Lord commanded. He brought Mary home to be his wife, but she remained a virgin until her son was born. And Joseph named him Jesus. God knew who to choose to be the mother and father of His only begotten Son, who would come to save the people from their sins! He chose Mary and Joseph, two who were devoted to Him, determined to do His will and unashamedly determined to moved forward regardless of what might be said of them by their peers and elders in society. There were three steps in a Jewish marriage. First, the two families agreed to the union. Second, a public announcement was made and the couple was officially “engaged”. This was similar to an engagement today except that in Jewish tradition their relationship could only be broken through death or divorce (even though sexual relations were not yet permitted). Third, the couple was married and began living together. Mary and Joseph were in the second state of that union, the betrothal period. Because they were engaged Mary’s apparent unfaithfulness carried a severe social stigma. According to Jewish civil law, Joseph had a right to divorce her, and the Jewish authorities could have had her stoned to death. Joseph, being a just man decided to break the engagement quietly, so as not to disgrace Mary publicly. He was a “just” man. The Greek word for “just” is dikaios and it means “upright, blameless, righteous, conforming to God’s laws and man’s.” Joseph was fair and righteous, not looking to expose Mary by rejecting or casting her off before witnesses. He was compassionate towards her. He did not want to make a public example of her. This concerned him and as he thought about how he would do this he fell asleep. As he was sleeping the angel of the Lord appeared to him in a dream and explained how Mary became pregnant. The angel told Joseph that the father of Mary’s child was the Holy Spirit and that he did not have to be afraid to take Mary as his wife because she had not been unfaithful to him. Fear, when received, can be a determent to receiving the promises of God. The enemy always speaks fear to us to try to get us off track, to keep us from fulfilling God’s plan for our lives. But Joseph, being a godly man, received the message from the angel with faith as Mary had when the angel appeared to her to tell of her upcoming pregnancy. Matthew 1:24, 25 NKJV Then Joseph, being aroused from sleep, did as the angel of the Lord commanded him and took to him his wife, and did not know her till she had brought forth her firstborn Son. And he called His name JESUS. Joseph knew about the prophecies of which the angel of the Lord had spoken; how Isaiah had prophesied that a virgin would be with child and bear a Son, and that they would call His name Immanuel, meaning “God with us”. He knew the Word of God as recorded in the Old Testament. And he knew that when the angel of the Lord appeared to him with those prophecies that he could believe him and trust that what God had said He would do would happen. Joseph’s faith reached out and grabbed onto the word of God and caused him to step out believing that God would do what He had promised. Isaiah 7:14 NKJV “Therefore the Lord Himself will give you a sign: Behold, the virgin shall conceive and bear a Son, and shall call His name Immanuel. Joseph so honored what God was doing in Mary’s and his lives that even after they were married he refused to have sexual relations with her until after Jesus was born. They did not enter into normal marital relations until after her Son was born. Mary was still a virgin when Jesus was born and so the scripture was fulfilled that a virgin would be with child and bear a son! Joseph called His name JESUS. 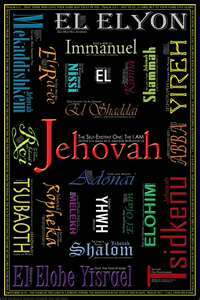 The name means “Yahweh is Salvation”. The angel gave him instructions from the conception to the birth and even what they were to name the child. The scripture records that Joseph called His name JESUS; he followed the commandment of the Lord in every instruction that he was given. He didn’t worry about what the community would think of him; his only concern was that he would do the will of God and care for the wife that God had given him. His full devotion was to doing God’s will. When we look at the life of Joseph we see a man who was not afraid to follow God. He was a disciplined man doing what needed to be done to work with His heavenly Father in order to see the manifestation of the promise of God in his life. He was focused on what God was doing in his life instead of what people and circumstances might dictate. He was determined to obey regardless of public opinion. Immanuel, God with us, was the promise that the Christ child would bring to the world. God with us, in a different way, the way of salvation. Jesus was born to save His people from their sin. He was not born as a baby to be worshiped in a manger, but as the Savior of the world, who took on human form that He might face all the trials and temptations that we face and yet overcome and become the payment for our sin, our failures, our brokenness and iniquities. The question we each need to ask ourselves at this time of the year is would we be willing to give up our lives to usher in the will of God in our world today? What would it take for God to be able to depend on us to work with Him to establish His will in the hearts and lives of those around us? Philippians 2:5-11 NLT Your attitude should be the same that Christ Jesus had. Though He was God, he did not demand and cling to his rights as God. He made himself nothing; he took the humble position of a slave and appeared in human form. And in human form he obediently humbled himself even further by dying a criminal’s death on a cross. Because of this, God raised him up to the heights of heaven and gave him a name that is above every other name, so that at the name of Jesus every knee will bow, in heaven and on earth and under the earth, and every tongue will confess that Jesus Christ is Lord, to the glory of God the Father. Father, I thank You for the story of Joseph and how he obeyed Your instructions regardless of whether it meant public disapproval or not. I thank You for his resolve to obey You in order to see the fulfillment of the plan that You had to bring Your Gift of salvation into our world. I pray that I will be that kind of person to be able to work with You in effecting change in my world as well. Father, I ask You to give each one of us the determination to obey You regardless of the opinion of those around us. May we be people of integrity that not only speak of You in our lives but act out of what You tell us to do. May we walk the talk and not just talk it. Thank You, Father, for sending Jesus to save us from our sin. Thank You for being with us in the form of humanity in order to identify with the problems that we experience in our lives. Thank You, Lord Jesus, for dying a criminal’s death to purchase our salvation! To You be all the honor and glory due Your name! Amen.